Looking for nursery Inspiration? 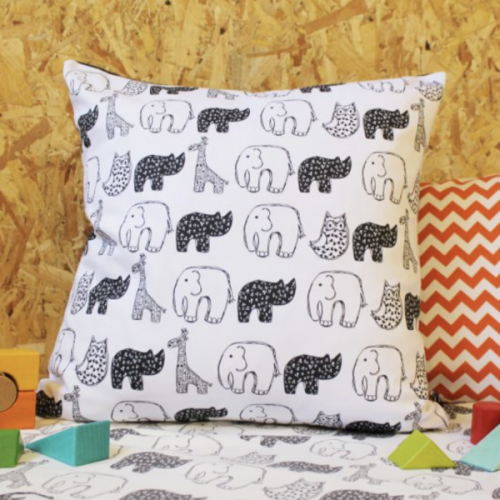 These charming monochrome pieces will help you create a stylish yet cosy space that your little one will love. 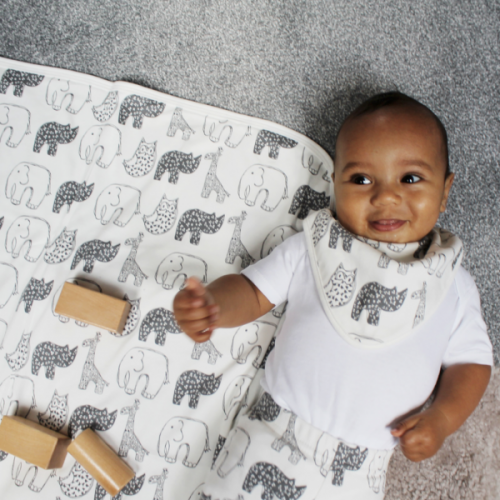 The monochrome colour palette is timeless, versatile and is proven to provide young babies with visual stimulation. Combine bold patterns, with block colours for a fresh clean look. 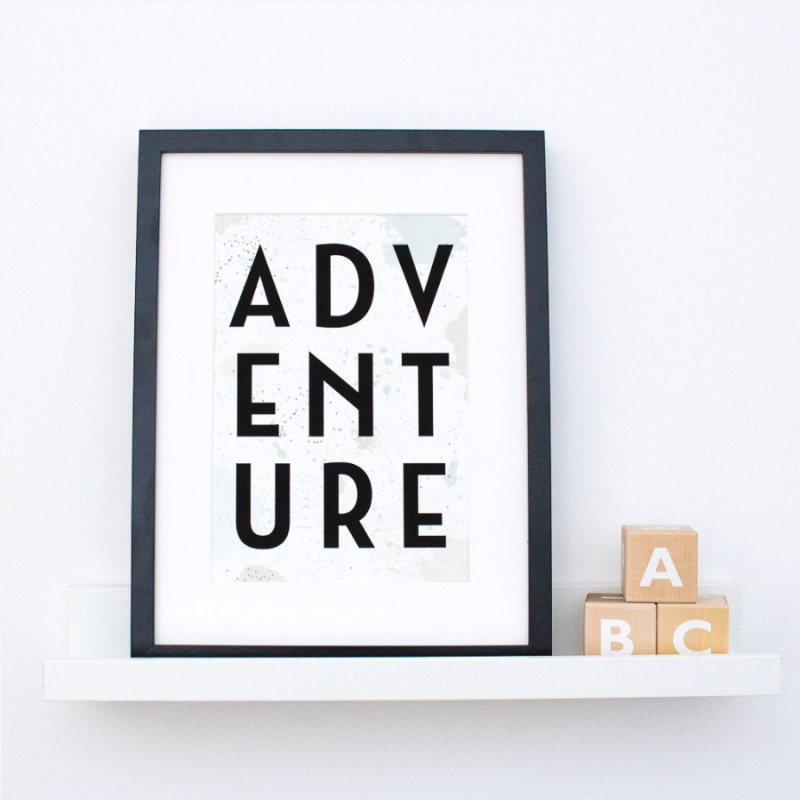 The Adventure Nursery Print features a bold typography and paint splashes – a contemporary design for a modern nursery. 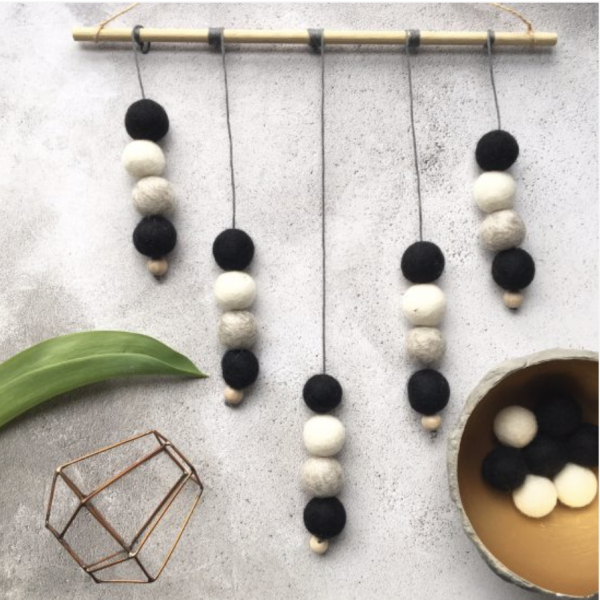 Add a modern and whimsical touch to your baby’s nursery with this Monochrome felt ball wall hanging is made using 100% wool felt balls. It can be used as a nursery mobile or when the baby is a little older, can be used as a piece of artwork. 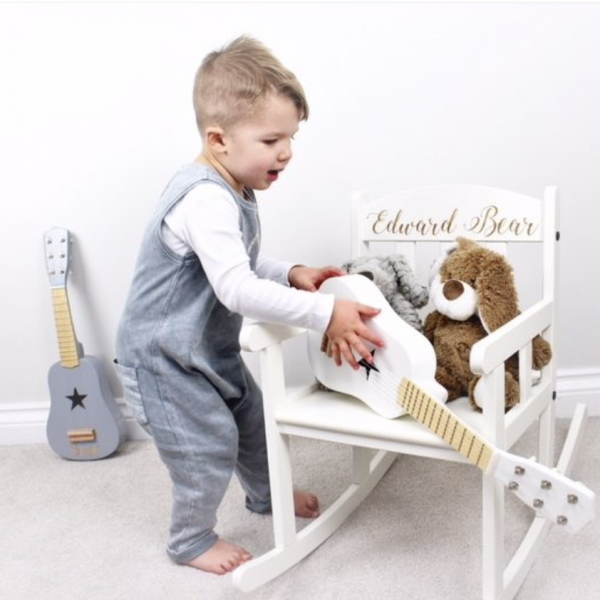 Personalised White Rocking Chair. This charming white wooden rocking chair would make a great addition to nursery, maybe layer with a grey blanket. 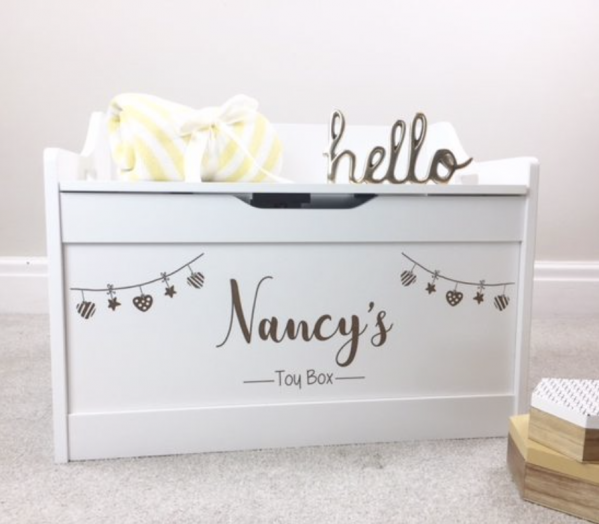 Add a dose of charm to your child’s bedroom with the adorable personalised Toy Box. When the lid is down the design doubles up as a seat, perfect for creating a reading corner. Stashmat! 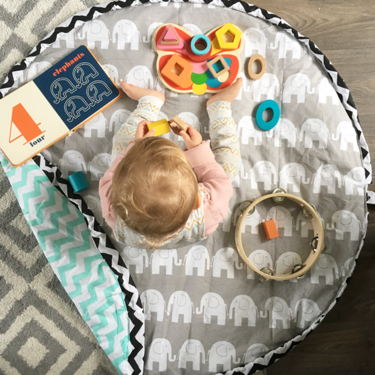 Our monochrome stashmat, is a perfect addition to a nursery. It’s the perfect padded playmat, which converts into a bag.